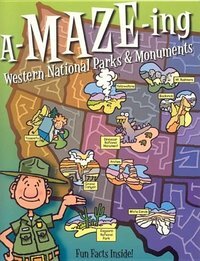 This fun-filled activity book is packed with colorful mazes and interesting facts about 19 western national parks and monuments. 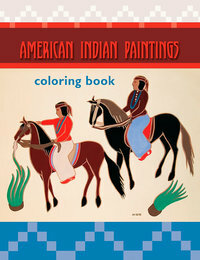 Have fun coloring and exploring with twenty-one drawings based on paintings created by Native American artists. The artwork from the Apache, Hopi, Navajo, and Pueblo tribal artists presented here are both traditional and modern in style. The artists’ original color paintings are shown as small pictures printed on the inside front and back covers. You can copy their colors or create your own color schemes. The last two pages of the book are blank so you can make pictures of your own. A creative way for young people to learn about the "Ancient Ones" the people of the Southwest who lived in cliff dwellings long ago. While they color the pages, children will learn about the Anasazi's lifestyle: their diet, housing, ceremonies, and various theories as to why they disappeared. Suitable for children ages 5-12. From the brilliant blue of an Indigo Bunting to the scarlet red of a Summer Tanager, coloring your own field guide is the most enjoyable way to learn about birds. Each drawing is accompanied by a brief description that educates as it entertains. Place the new color stickers next to the drawings for a visual reference while coloring. Coloring the drawings helps reinforce the color, image, and shape of each bird, improving your memory and perception while offering a pleasant and easy way to learn. Fun for adults as well as children, beginning and experienced naturalists alike. 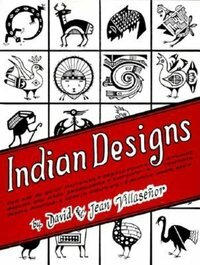 Seventy-one authentic examples of Indian design from Indian masks, beadwork, pottery, metal, stone, and wood selected and redrawn by Paul Kennedy. Sandpainting of gods, battle scenes, geometric designs, birds, flowers, animal figures, more, by Eskimo, Northwest Coast, Pueblo, Navajo, Plains, Chippewa, and other tribes. All material identified. For thousands of years Native Americans have lived and worked in the hot, arid, and often inhospitable lands of the American Southwest. 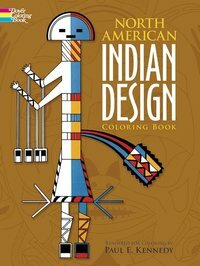 Now artist Peter F. Copeland recreates the lives and cultures of those Indians in 40 detailed and carefully researched illustrations. Included are ready-to-color depictions of Southwest Indians of the past and present—from the 1840s to the 1980s. Informative, descriptive captions accompany the illustrations, making this no only an enjoyable collection of pictures to color but an educational and stimulating introduction to Indian culture as well. Dorothy Sides, a noted artist and collector, has gathered together and redrawn in black and white nearly 300 examples of Southwestern Indian decoration. 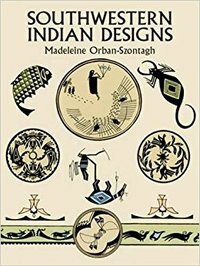 The book contains designs ranging from the thirteenth century geometric art of the Pueblos to the handcrafts carried on by Native American artists of the present. Includes pieces from Pecos, Sikyatki, the Mimbres, and modern Pueblo pottery from Acoma, Zuni, Cochiti, and the Hopi. Also includes designs and motifs from the basketry of the Apache, Pima, and Papago; beadwork from the Mohave; authentic Zuni masks; Hopi kachina dolls; and sand paintings and blanket designs from the Navajo. Patternsized illustrations of designs suitable for quilts, clothing, embroidery. Each with the source identified. Explore your knowledge of Mesa Verde National Park with this fun activity book! Color pictures, solve puzzles and connect-the-dots, search and find objects that you may see in the park and much more. Inside are 24 pages of fun things to do: crossword puzzles, word search puzzles, mazes, coloring pages, and more. Commemorate your visit to Mesa Verde National Park with this exclusive mini building blocks kit. Imagine what construction would've been like for the Ancestral Puebloans as you erect this miniature replica of the iconic Cliff Palace. Fun and entertaining for anyone who embarks on the task. Includes 450 individual pieces and assembly instructions. 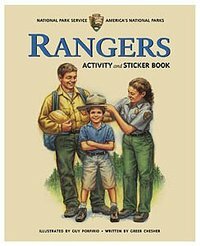 Follow along with young Jason, the son of two National Park Service (NPS) Rangers as he introduces young readers to the exciting adventures of NPS Rangers. Seven different men and women with diverse backgrounds give personal accounts about their jobs and what inspired them to become NPS Rangers. Fun games and activities like a word search, maze, puzzles and paper figures complete with two NPS uniforms each, help kids retain the information they learn throughout the book and help get them excited about protecting and preserving America's National Parks! Beautiful, full-color illustrations throughout! Sure to be a hit with kids of any age! The designs have been taken from Hopi ceremonial dress, Zuni shields, Anasazi pottery, Navajo jewelry and rugs, and many other sources. This fascinating collection is one that designers and craftspeople will find essential for their design libraries.